In 1980 I worked the summer as a construction laborer in Calgary, near the end of the big building boom. I drove a beat-up 1973 Ford LTD coupe - a gas-guzzling behemoth that rode like a canoe. At some point my friend Thierry Cariou, a young Parisian photographer who I'd met a few years earlier during my post-high-school European adventure, came to visit and I took him up to Banff one weekend. Today Thierry is one of France's most successful stock photographers and runs a graphics/multimedia agency. Every year he mails out a Bonne Année card with one of his favorite photos on it. Usually they're abstract, computer-enhanced images. This year he went old-school and featured a gorgeous black and white photo of my old LTD on the side of the road with the big, electric Alberta sky above us and the Rockies ahead. Not only does the pic represent a moment from my youth (if you look closely you can see the fuzzy dice hanging from the rear view mirror) -- it captures the spirit of the Canadian West. Contact: Ronnie Shewchuk (604) 351-1999. #3: I have a nine-inch metal plate in my upper left arm. On a rainy January morning in 2004 I went on a mountain bike ride with our family dog, Molly, galloping by my side. It was my usual fitness ride along Lynn Creek near my home in North Vancouver. As usual, for a little middle-aged thrill, I rode into a skateboard bowl located along the trail. Except, this time, someone had ditched a shopping cart in the bottom, which I swerved to avoid. But the side of the bowl was coated in frost. My front tire gave way and I flipped, my body crashing into the sloped edge of the bowl. When I hit, my humerus (which, I learned, is one of the least funny parts of my body) snapped in two like a dry twig and I rolled to the bottom of the bowl. So, there I was, lying flat on my back in the rain with my arm bent in a most unnatural position behind me, my dog staring down quizzically from the edge of the bowl, and Cheryl Crow blaring into my earbuds, singing "All I wanna do, is have some fun..."
First thing I did was flip the arm over to the front of my body. Boy, did that hurt. But it eased the pain to straighten out the limb and have it resting on my chest. No one else was on the path that morning, but luckily I had my cell phone. Unluckily, in my trauma-induced confusion I gave the folks at 911 the wrong address for the skateboard park. An ambulance sped around the North Shore for about half an hour looking for me at other parks in the area. Finally, after some back and forth calls to the dispatcher, I was discovered and eventually my arm was screwed back together. These days I mostly don't notice the metal plate (I think it's titanium, and it's fastened with about nine screws), and, interestingly, neither do the metal detectors at airports. Which makes me wonder what else they don't catch. I retain a long, loud scar, which makes me feel kind of macho, as if I had a past career in extreme sports. I still go on that fitness ride, but no more skateboard bowls for me. 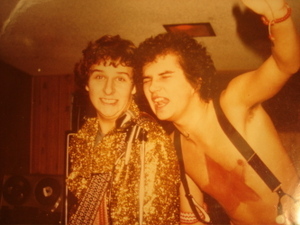 #2: I was a teenage parodist. 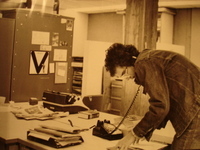 In the late 1970s I was a student at Carleton University's School of Journalism. 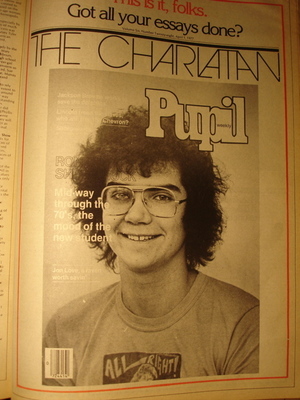 For fun, I became part of a group of young writers and editors at the school paper, The Charlatan. 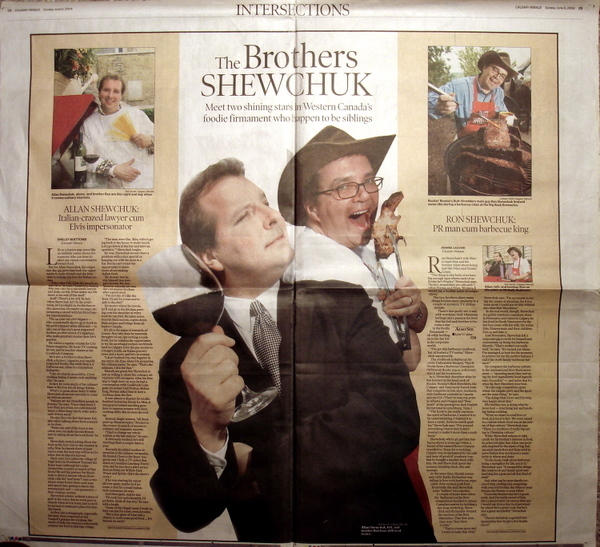 Every year we put together an annual special edition of the paper that parodied something. One time it was People magazine (see Pupil magazine, with yours truly on the cover), another it was the local daily paper, and so on. I guess it was our version of the Harvard Lampoon. And what fun it was! We skewered pop culture icons. We stomped on convention. We threw big rocks at big targets. Some of my very best memories come from those days. I'd like to see the odd bit of parody injected into employee publications. Can you imagine putting out a spoof of your own annual report? Actually, when I was at Petro-Canada editing the employee publication, In Brief, which did a lot of reporting on downsizings, some wag did a desktopped parody and called it In Grief. Ha! 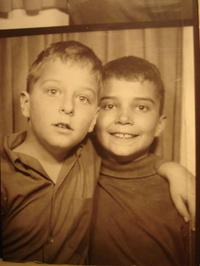 My dear brother, Allan, is a Calgary lawyer. We don't look very much alike, but we have many things in common, including a flair for showmanship and a deep love of cooking. I guess we're kind of competitive... although neither of us would admit it. 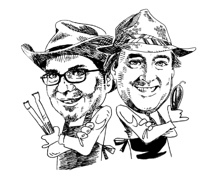 At the same time as I was pursuing a sub-career as a barbecue champion and cookbook author, Allan became a Calgary food celebrity specializing in Italian cooking and hosting obscure food TV shows. My wife Kate calls us Frasier and Niles. Can you guess which one is Frasier?